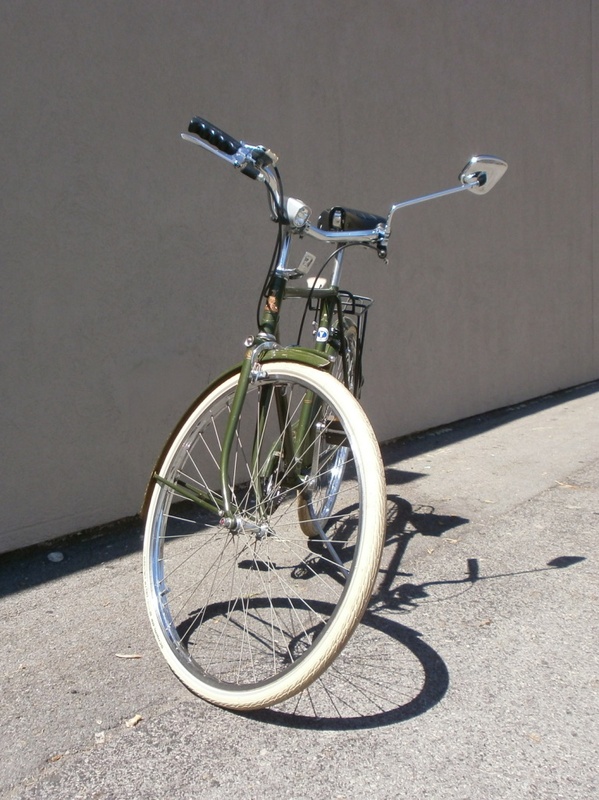 Eat Your Heats Out – Black Tyre People! 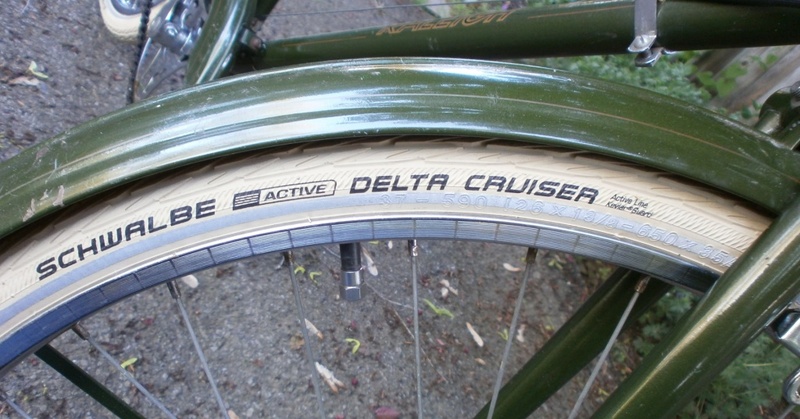 The photos say it all – a new pair of Schwalbe Delta Cruiser Rlx Tire-Wire Bead, Cream, 26 x 1 3/8-Inch Sports tyres (at $58.86 pair delivered) installed on a 1974 Raleigh Sports . 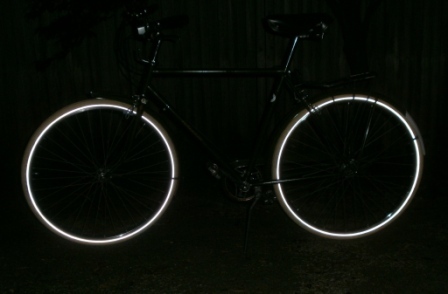 . . and they glow in the dark. Even our local Tweed Ride Leader was rendered speechless.